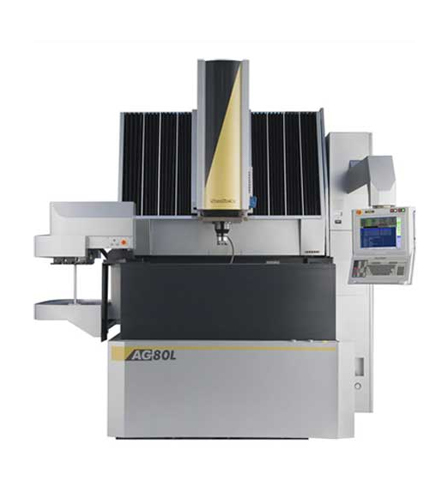 Sodick’s large size Die sinker EDM machine in the range is the “AG80L”. It is suitable for cutting large work pieces and weight up to 3000 Kgs in a very short space of time, thanks to the Sodick’s in-house fabricated technologies. With the automatic three-sided vertically sliding tank the large work-piece easily loaded and unloaded.